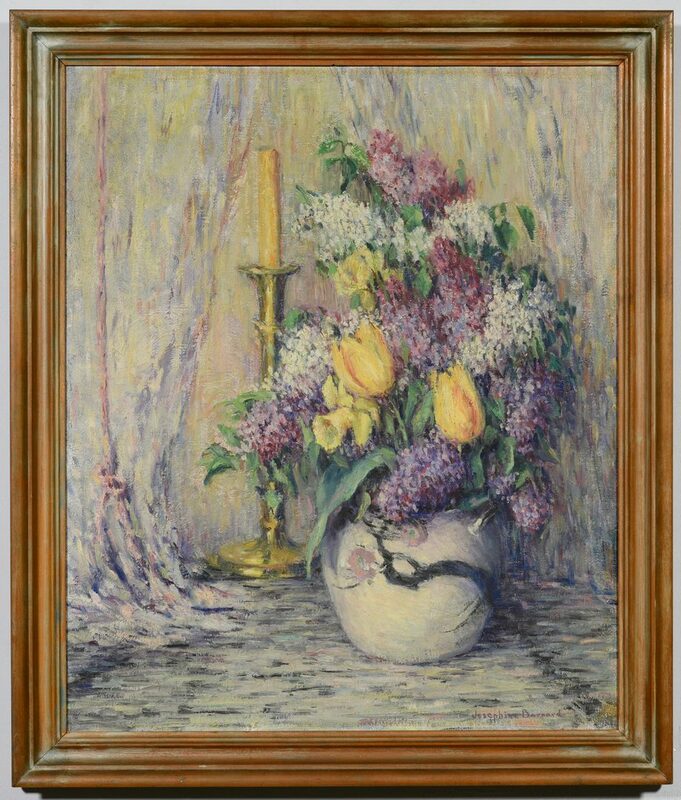 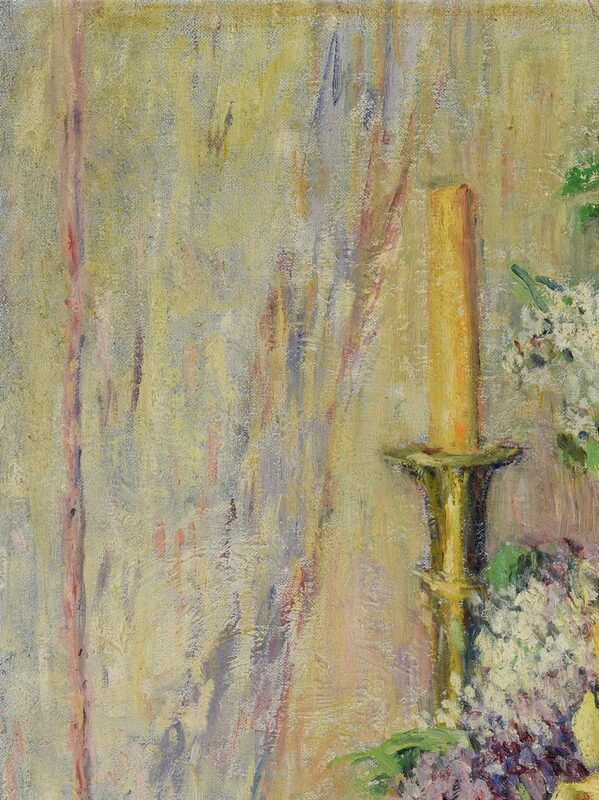 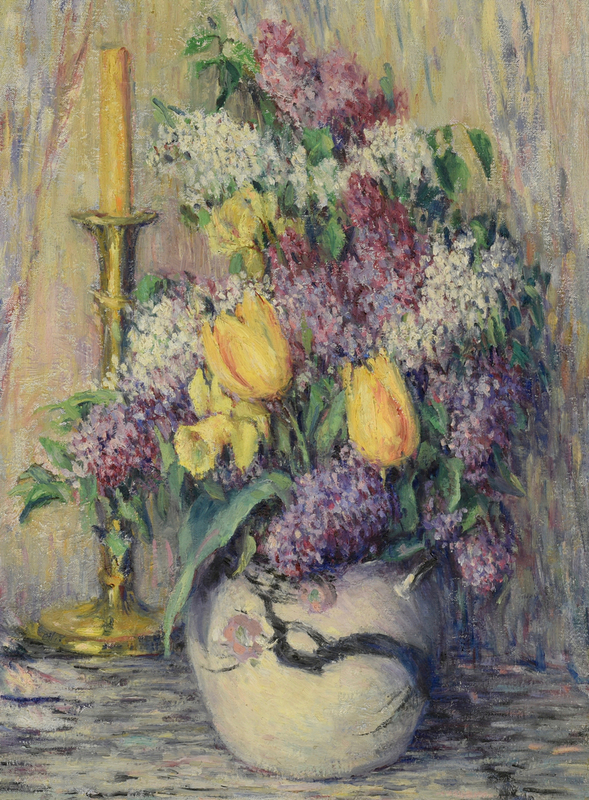 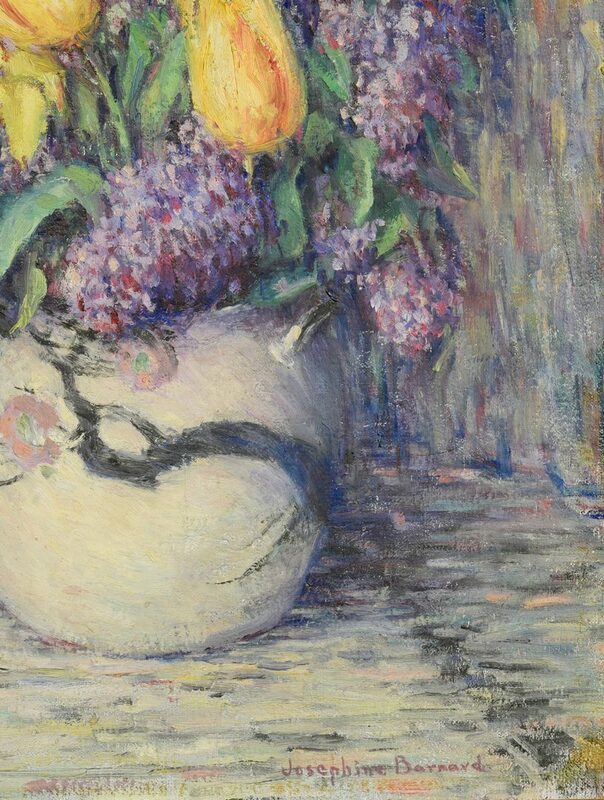 Josephine Barnard (American/New York, born 1869) oil on canvas impressionist still life titled "Lilac Time" depicting a floral arrangement and solitary candlestick against a draped background. 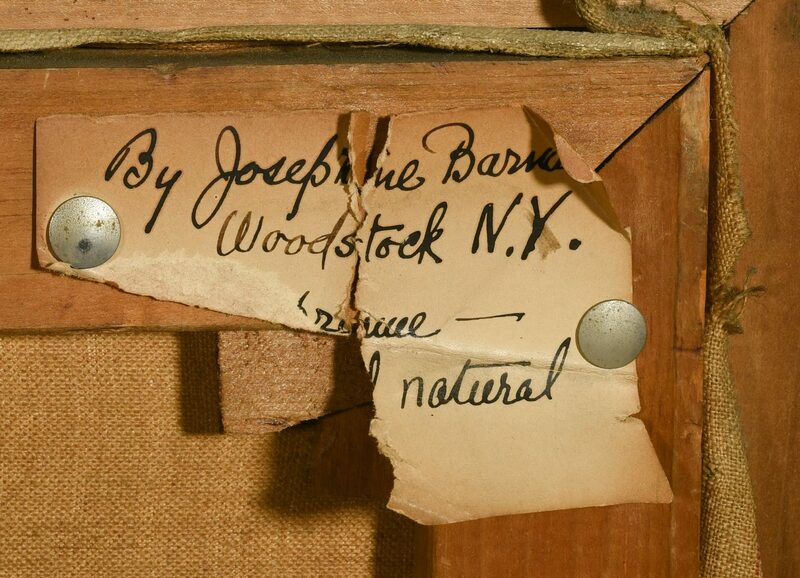 Signed lower right "Josephine Barnard". 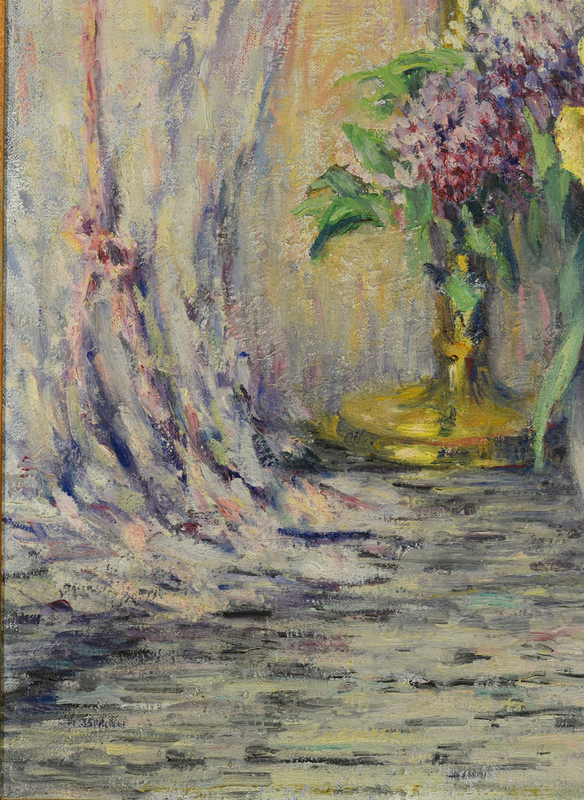 Entry card en verso from the 45th Annual National Association of Women Painters and Sculptors, New York, held in 1936. 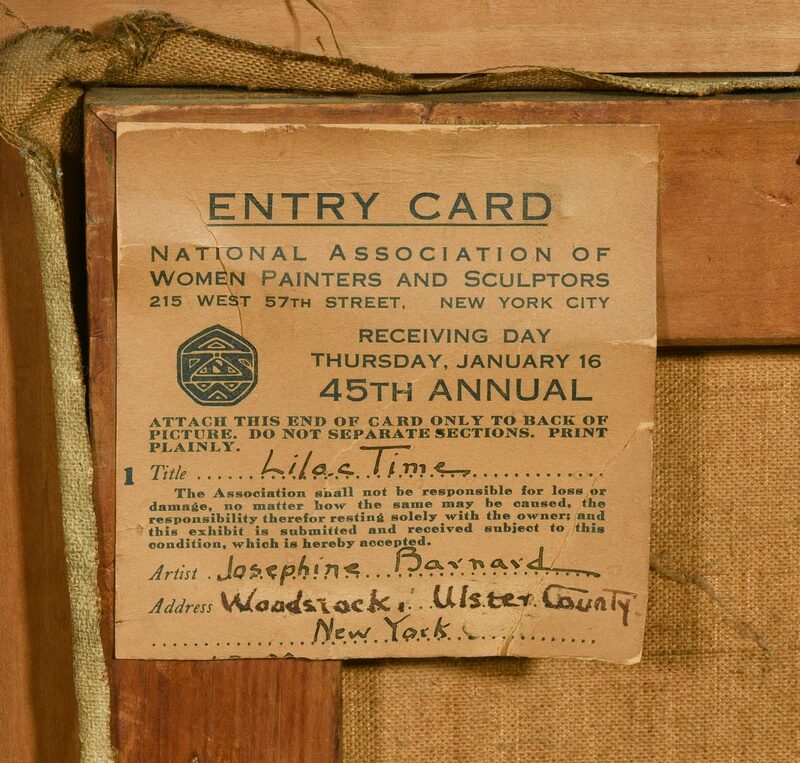 Card lists the artist's address as Woodstock, NY. Housed in a painted and carved wood frame. Sight – 23 1/2" H x 19 1/2" W. Framed – 27 1/4" H x 23" W. Early 20th century. 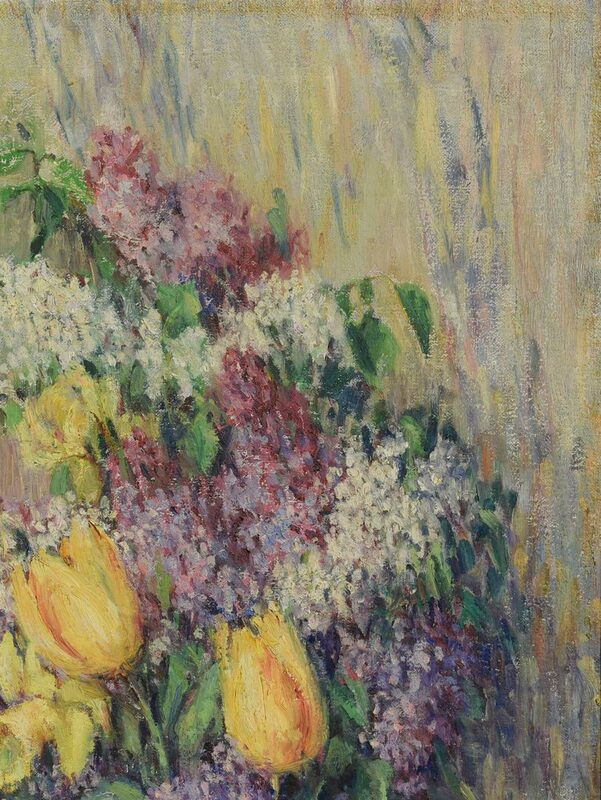 Biography (Courtesy of Pettyes: Dictionary of Women Artists): Josephine W. Barnard was born in Buffalo, New York in 1869 and was known to have lived in Brooklyn (1925) and Woodstock, NY (1930s). 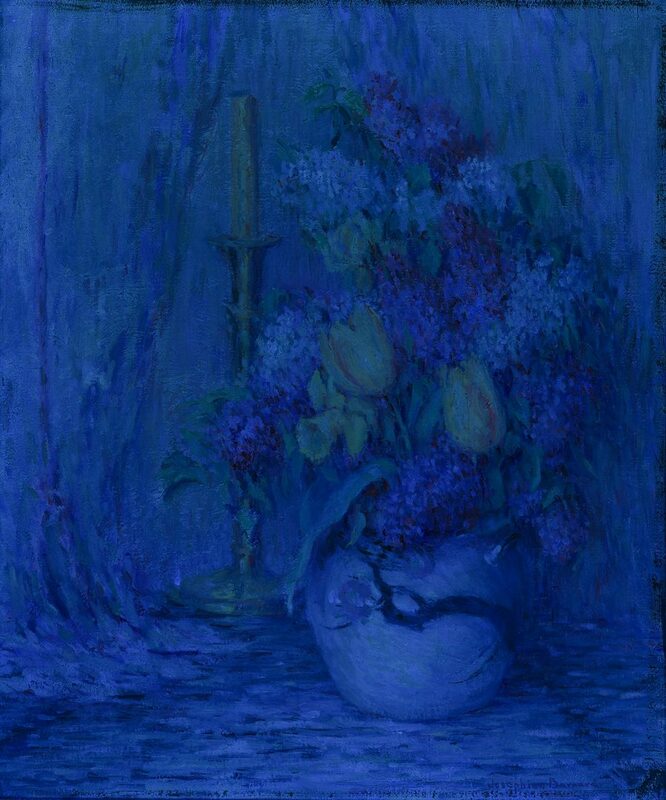 She studied with Dow, Snell, and Carlson in the US and with Stanhope Forbes in England. 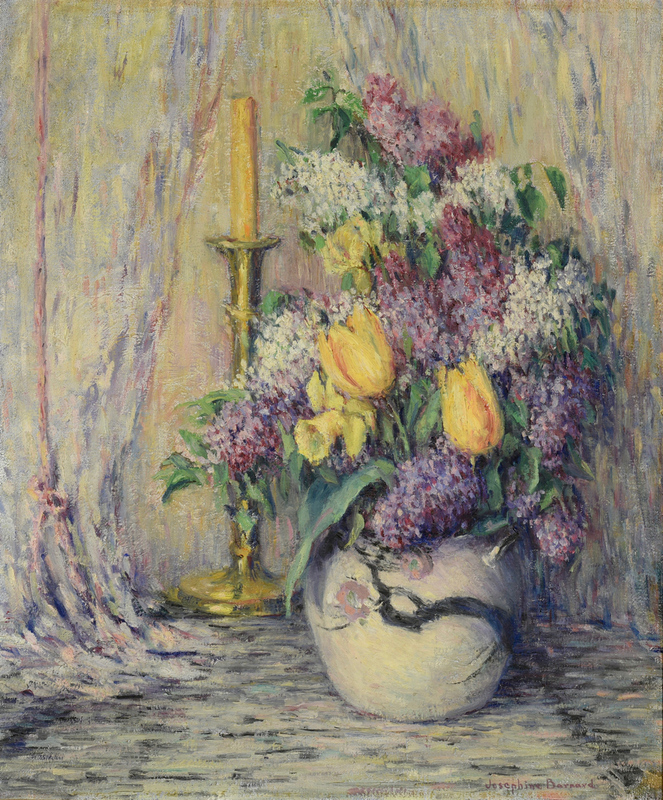 She exhibited at the Pennsylvania Academy of Fine Arts in 1925 and was a member of both the National Association of Women Artists and the Allied Artists of America. 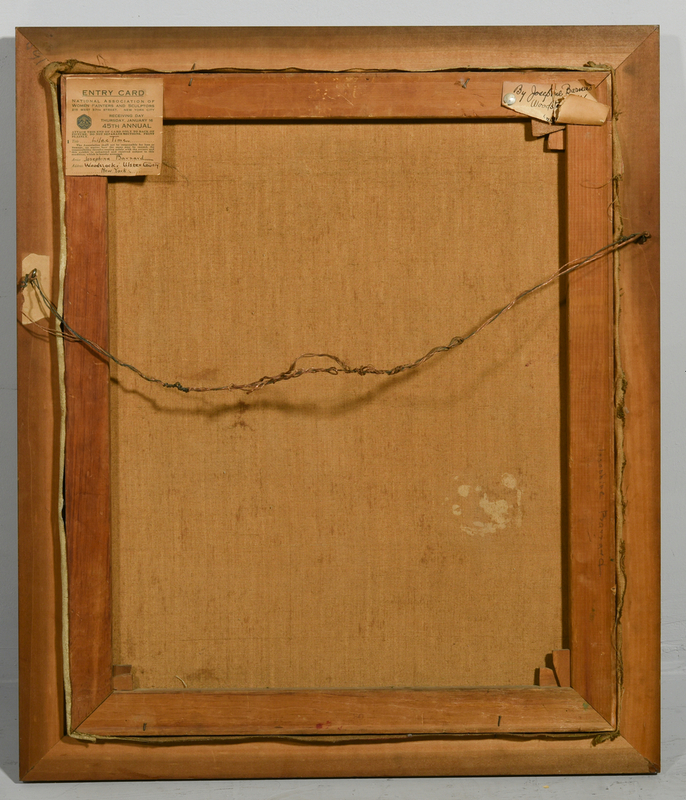 CONDITION: Overall very good condition with light surface grime.